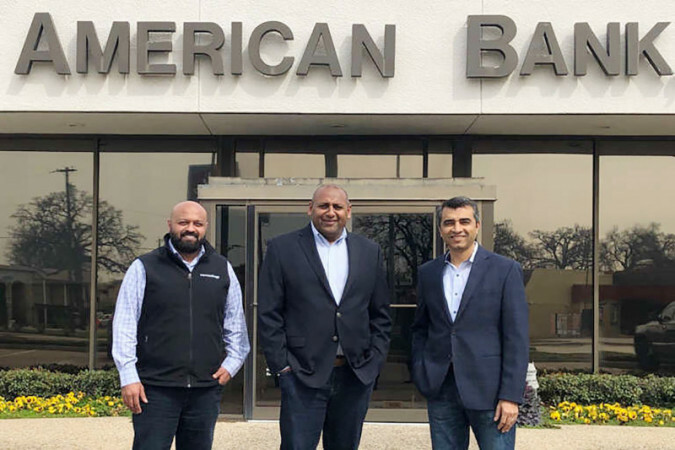 Bright Force Holding, an investment group led by Mehul Patel, Chirag Patel, and Mital Patel, has acquired American Bank, N.A., a community bank in North Dallas, TX, with roughly $55 million in assets. Bright Force Holding, based in the Dallas suburb of Lewisville, is an investment group led by the Patels. These investors serve as senior executives with NewcrestImage, a hotel development and management company that operates a portfolio of 28 properties, according to a media release. The three investors will become members of American Bank’s board of directors, joining three directors who currently serve: veteran Texas banker John Goforth, who will also remain president and CEO of the bank; and business executives Mark Kelly and Jake Menefee, it said. American Bank currently operates a single location in northwest Dallas. It was established in May of 1974 as Pan American National Bank of Dallas, changing its name to American Bank in May of 1987, the release noted.